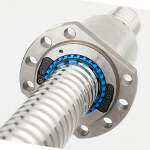 Using the Right Coupling for your Motion Control Application? Servometer® precision motion control couplings are available as both flexible bellows couplings and rugged beam couplings. Electrodeposited bellows technology offers seamless construction and the best combination of flexibility and strength among couplings technologies. These versatile, flexible nickel and stainless steel shaft couplings are capable of accommodating misalignments for parallel, angular and axial motion. Our newly released video showcases their unique characteristics, capabilities, design and various applications. Watch Robotiq's new Force Torque Sensor FT 300 with Universal Robots in action! This new Sensor opens up a whole range of force sensitive applications. With plug and play integration on all Universal Robots, the FT 300 makes automation of high precision tasks such as product testing, assembly and precise part insertion easy and fast to setup. Click here to watch the FT 300 in action. A NASA team is working on building a new type of communications modem that promises to transform the way NASA sends and receives data, video, and other information. The chip-based device will use lasers to encode and transmit data at rates 10 to 100 times faster than today’s communications equipment, requiring significantly less mass and power. If the buzz at the Consumer Electronics Show (CES) in Las Vegas in January was any indication of things to come, 2016 is expected to be the year of virtual reality. Dr. Harry Zervos, principal analyst at IDTechEx, runs through the benefits and drawbacks of LCD, LED, and OLED microdisplay technologies. New motion-planning algorithms allow drones to do donuts and figure-eights in object-filled environments -- and even avoid obstacles outside at up to 30 mph. This is a great look at the complexity of programming for real-world scenarios. It’s dark outside, but with just a press of the key fob, a striped carpet of light appears on the ground illuminating a curved path to your car. This clever design element, available on the new BMW 7-series, is based on special micro-optics developed by researchers at the Fraunhofer Institute in Germany. Protogami’s three-dimensional flexagons create a continual kaleidocycle that exposes a different set of triangular faces with each turn of its living hinges. It lets product designers and engineers see commonly used materials like ABS, PC, and acetal -- and how they interact with different surface finishes. 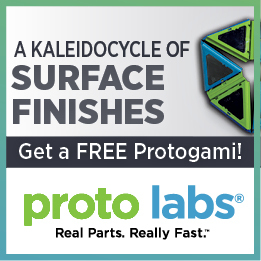 Get a free Protogami today! Dozens of types and thousands of variations of self-clinching fasteners (steel, stainless steel, or aluminum) have been engineered over the years. Leon M. Attarian of PennEngineering provides three mini case studies where manufacturers benefited greatly by switching to self-clinching fasteners in their assemblies. This article is filled with insightful tips and suggestions. 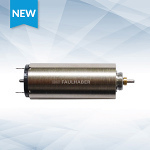 MICROMO launches a new generation of metal commutated brush DC motors, the FAULHABER 1024 SR series. With a 10-mm diameter and the ability to offer high performance with small dimensions and low weight, the 1024 SR motor is ideal for high-demand applications and portable devices. 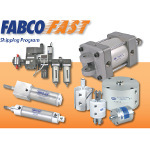 Fabco-Air has added the “Original” Pancake Air Cylinder product line to its two-day Fabco Fast Shipping Program. This product line includes eight bore sizes (1/2 in. to 4 in. ), strokes from 1/16 in. to 4 in., “T” Series (a thicker piston option that includes a rugged PTFE wear band, four mount styles, and both single- and double-rod configuration. Applications include: male rod thread, magnetic piston, bumpers, high-temp seals, non-rotating piston rod, and more. Steinmeyer has updated its UltraThrust ball screw series with diameters from 32 mm to an enormous 160 mm, pitch ranging from 10 mm to 50 mm, and ball sizes up to 19 mm. This series offers dynamic capacities beyond 1 million Newtons! The new line of large ball screws features a more economic and quieter solution than roller screws. UltraThrust ball screws also offer another significant advantage over roller screws: higher efficiency, typically 90-plus percent. Available in several standard and custom ball nut configurations. 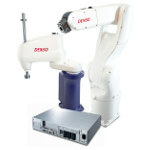 DENSO Robotics’ latest RC8 robot controller features a built-in I/O command-slave function that allows DENSO robots to be controlled directly by Rockwell and Omron PLCs or PACs. Beta testing for Siemens and Mitsubishi PLCs and PACs is in progress. The I/O command-slave function makes it easy for customers to program and operate robots from within their familiar PLC or PAC environment, without having to learn a specialized programming language. These compact, high-speed robots are widely used in traditional manufacturing sectors, as well as in advanced-technology applications in the medical, pharmaceutical, and life sciences industries. A new design for gigantic blades almost two football fields long could help bring offshore 50-megawatt (MW) wind turbines to the United States and the world. Sandia National Laboratories’ research on the extreme-scale Segmented Ultralight Morphing Rotor (SUMR) aims to design a low-cost offshore 50-MW turbine requiring a rotor blade more than 650 ft (200 m) long, two and a half times longer than any existing wind blade. University of Nebraska-Lincoln Professor of Civil Engineering Chris Tuan has added a pinch of steel shavings and a dash of carbon particles to a recipe that has literally been set in concrete for centuries. The new ingredients conduct enough electricity to melt ice and snow in the worst winter storms while remaining safe to the touch. If you don't want to freeze in your electric car, you have to make a few concessions because heating devours a substantial portion of the power supply. But a new interior solution provides a highly energy-efficient coated film that produces a broad, radiant heat. How can igus® offer up to 10 million cycles of guaranteed continuous-flex cable performance? Take a look inside our extensive cable testing methods, and discover how igus® can guarantee customers 36 months of reliable flexible cable performance with the Chainflex® cable guarantee program. Medical device manufacturer Tegra Medical deployed three collaborative robot arms from Universal Robots to tend the machines manufacturing medical instruments. The UR robots doubled throughput, freed up 11 full-time positions, and enabled the manufacturer to keep up with customer demand while keeping costs down. Learn the benefits of collaborative robots.